Rev. 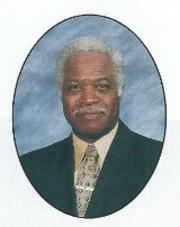 Reginald N. Bagley was a member of Hollywood Baptist Church, in Amityville, New York, for over thirty years. He served as a Deacon until his call to the Gospel Ministry in 1983, and was ordained as an Associate Minister a few years later. He was born in Kembridge, Virginia and received his early education in the public school system. He earned his Bachelor of Science at John Jay College of Criminal Justice; Bachelor of Science and Master of Divinity in New Brunswick Theological Seminary, respectively. He enlisted in the U.S. Navy and served for four years; while in the Navy, he met and married the former Cynthia Paige of Yorktown, Virginia. After completion of his military duties the Bagley Family moved to Amityville, New York and their union was blessed with three children. He joined the New York Police Department and retired with the rank of sergeant, after thirty years of service. After retiring from the New York Police Department in 1994, the Bagley’s relocated to Yorktown, Virginia and joined Sister Bagley’s home congregation at the Grafton Baptist Church in Harris Grove, Virginia. Rev. Reginald N. Bagley was installed as the fourteenth pastor of Grafton Baptist Church on October 6, 2013. Pastor and Cynthia Bagley have been married for 52 years and they have three children: Adrienne, Stacy and Reginald; and five grandchildren.